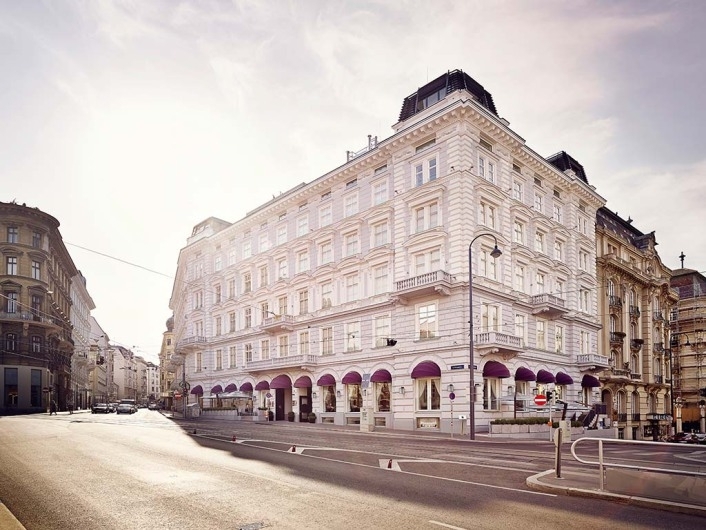 Design Hotel “San Susi” was built in Wien in 1872 and was used until 1953. In August 2010 “San Susi Group” company bought the building and works on restoration of historical stone walls were started the same year. 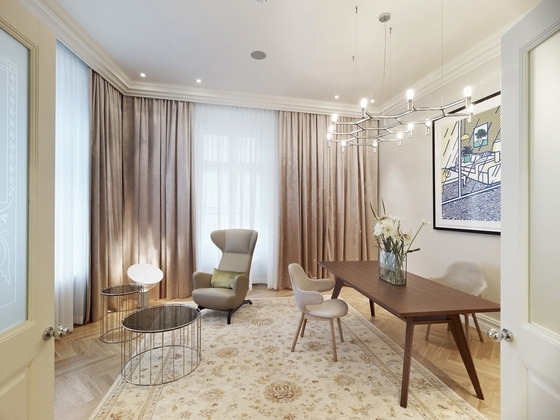 Drawings of interior design were made by English design group yoo headed by designer Phillip Stark and developerJohn Hichkoks, who perfectly embodied his vision of the city attraction and dwelling. Characteristic design of group yoo is worth of paying attention at the entry of the entrance hall filled with light and this tendency is continued with light colors in rooms and luxury rooms. In the main luxury number decorated in light colors an exquisite upholstery fabric City Velvet Vol. 2 of JAB ANSTOETZcompany in two versions is used, because a decorative stocking stitch structure excellently fits for upholstering pillows and sitting furniture. It has a large color spectrum of above seventy fashionable and wonderful shades. 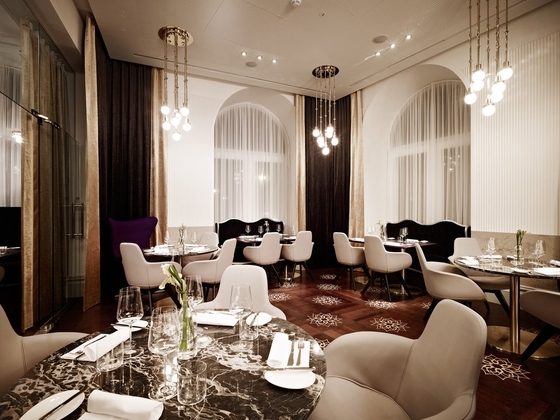 In contrast to rooms and luxury numbers in the restaurant a fabric of dark color is used. 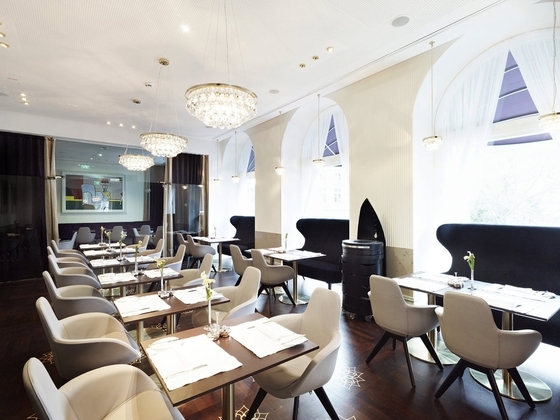 Material New Glamour Velvet harmonizes with dark-brown inlaid floor and marble tables. There is an exciting contrast of light-colored walls, golden curtain fabric and platfonds with golden decoration. This dynamic game with different combinations of materials creates a cozy and pleasant atmosphere. Besides, curtain fabric Sarah 300 Vol. 3 highlights some key points. There is a thin cambric, a tightly woven lightweight material of 38 shades.